Hi Guys! 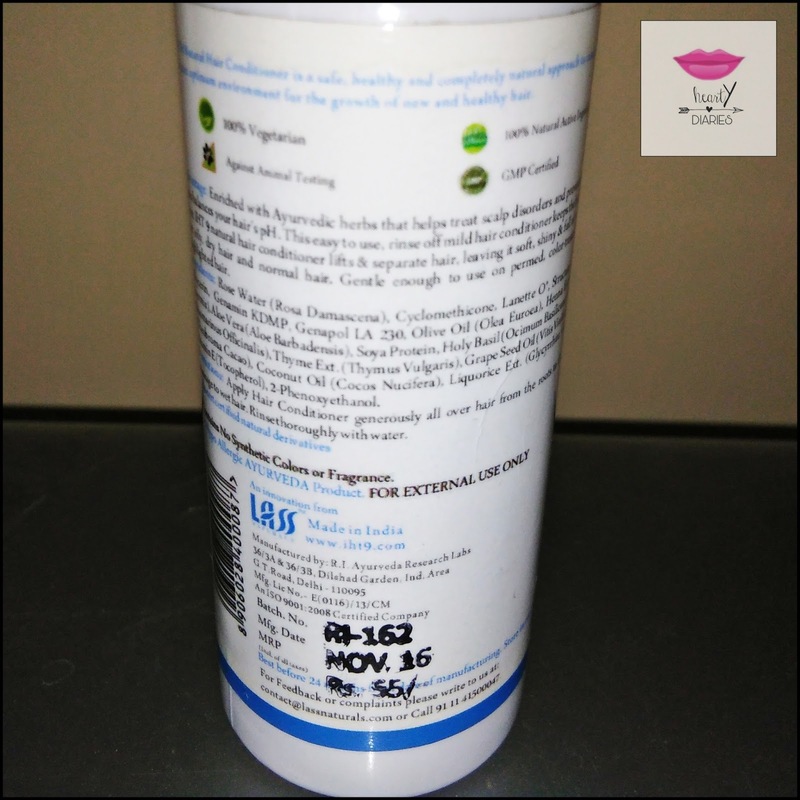 Today I am going to share my review about Lass Naturals IHT9 Hair Regrowth Conditioner with you all which I received in my April GlamEgo Box.. I received a sample sized product worth Rs. 65 for 50 ml quantity in the box. Check the other products which I got in my subscription box here.. 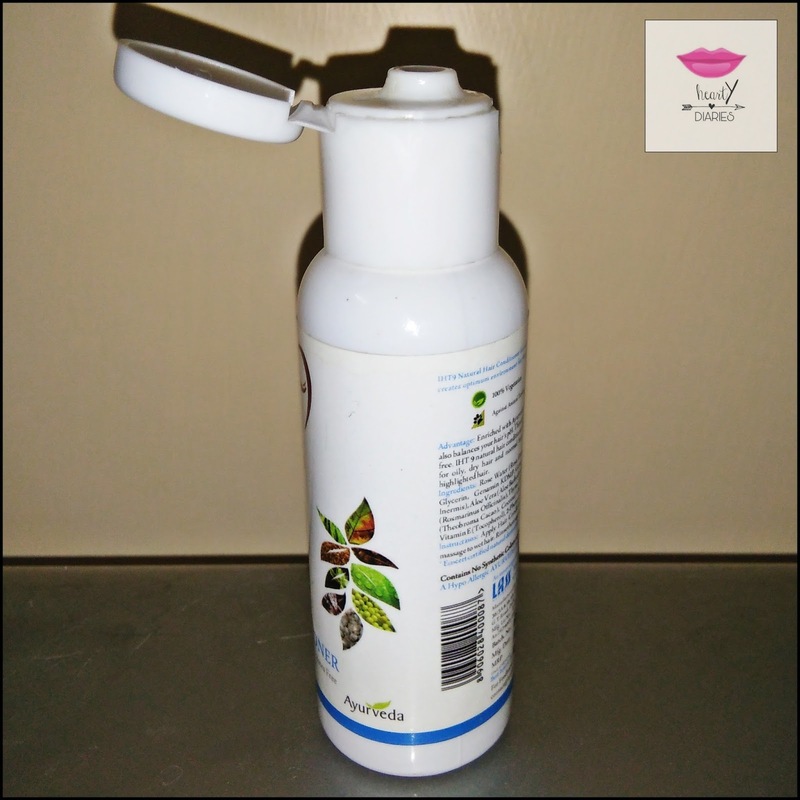 Check my review about Lass Naturals IHT9 Shampoo here…. 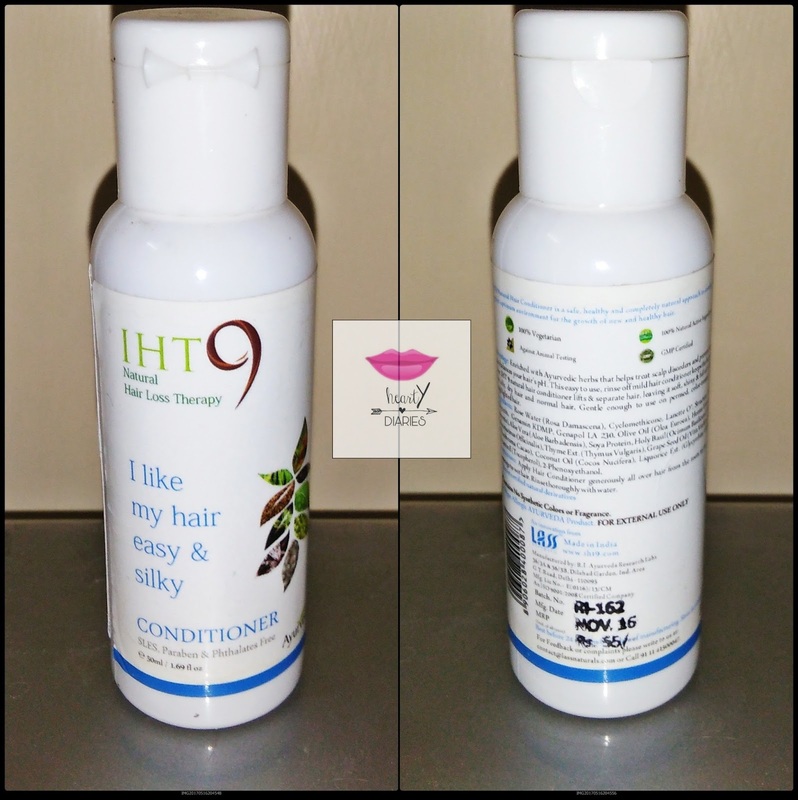 Description: IHT9 Natural Hair Conditioner is a safe, healthy and completely natural approach to combat Hair Loss & creates optimum environment for the growth of new and healthy hair. Both men & women can benefit from this highly effective shampoo. Advantage: Enriched with goodness of Aloe Vera & Ayurvedic herbs that helps treat scalp disorders and prevent hair loss, the IHT 9 natural hair conditioner also balances your hair’s pH. This rinse off mild hair conditioner keeps the hair soft & tangle free. It lifts & separates the hair leaving it soft, shiny & full of volume. Perfect for oily, normal or dry hair. Gentle enough to use on permed, color-treated, bleached or highlighted hair. Direction: Apply Hair Conditioner generously all over hair from the roots to the ends. Gently massage to wet hair. Rinse thoroughly with water. Packaging, Texture and Consistency: The conditioner comes in a white plastic bottle with a screw cap having a tight lid. The sample size is really sturdy and travel friendly. The conditioner has a white creamy consistency which is neither very thin nor very thick. Ingredients: Rose Water (Rosa Damascena), Cyclomethicone, Lanette O*, Structure XL, Vegetable Glycerin, Genamin KDMP, Genapol LA 230, Olive Oil (Olea Euroea), Henna Extract (Lawsonia Inermis), Aloe Vera (Aloe Barbadensis), Soya Protein, Holy Basil (Ocimum Basilicum), Rosemary Ext. (Rosmarinus Officinalis), Thyme Ext. (Thymus Vulgaris), Grape Seed Oil (Vitis Vinifera), Coco Butter (Theobroma Cacao), Coconut Oil (Cocos Nucifera), Liquorice Ext. (Glycyrrhiza Glabra), Natural Vitamin E (Tocopherol), 2-Phenoxyethanol. 1. The shampoo bottle is made up of really tight plastic which makes it really difficult to squeeze. I love applying conditioner to my hair but the fact that this one is completely herbal makes me like it even more. It can be applied to the roots of hair as well. It smells just like Catechu but as long as I am satisfied with its result, I don’t mind it. This conditioner says “I like my hair easy and silky” to which I cannot agree more. It does what it claims by making my hair really soft, easy and silky. What I noticed after using this conditioner is that it has made my hair even more straight even though the texture of my hair is straight naturally. I can swear by this conditioner and once my hair fall problem is completely gone, I would still go and buy this conditioner again as its completely herbal and chemicals free. I would highly highly recommend buying this conditioner as it is chemical free, makes hair soft and silky and can be applied to the roots as well. Yes. It is a product worth investing and our money pays off. Another product goes in to-buy list!! That conditioner sounds amazing! I'll have to check it out some time soon! Thank you for stopping by Linda. That is really an amazing conditioner. Worth a try and each penny!! Thank you for providing your blog link. I would love to visit it..!